This irresistibly interactive journal is filled with dozens of clever ideas for recording your life, such as “Make balloons out of photos from special and happy occasions” or “Fill the genie’s lamp with wishes.” The author/illustrator’s wonderfully layered photo-illustration montages invite readers to mix media, too, and make this keepsake truly their own. I loved the Q&A a Day: 5 Year Journal by Potter Style and have been using it every day for over a year. So, when I saw this was available for free in exchange for a review on Blogging for Books, I knew I had to request it. 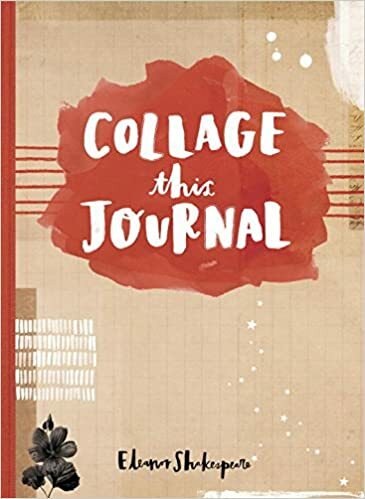 This journal is very interesting, and in the sort of style of Wreck This Journal, but with a more collage focused theme. With beautiful pages, and interesting prompts such as “Do you ever wish you could bottle a moment?” and “Redesign the cover of your favorite book.” it is sure to keep you entertained for hours. The pages are a lovely earth tone, which I think will look great when you add colorful photos and clippings. PS: Do you have any unusual journals that you like to use?